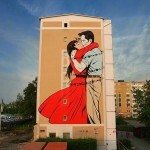 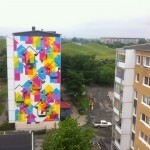 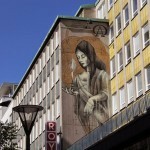 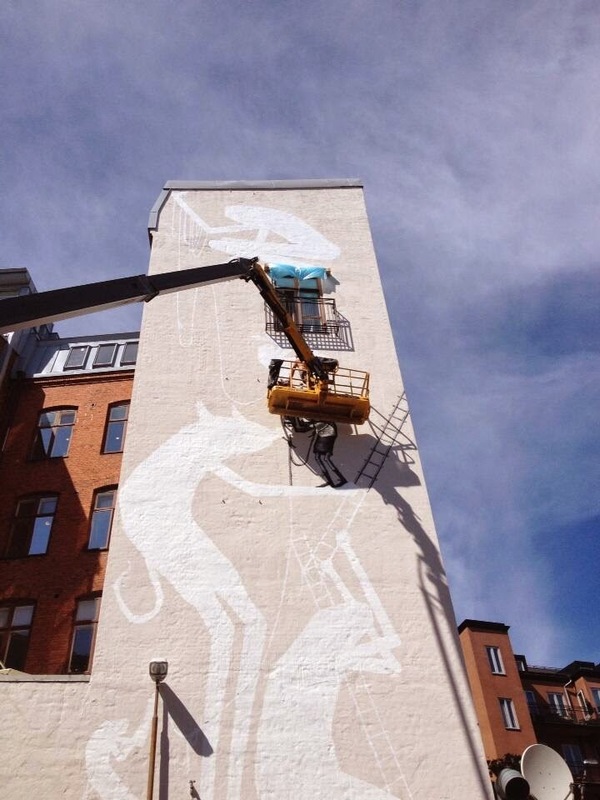 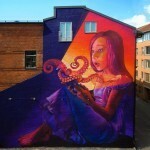 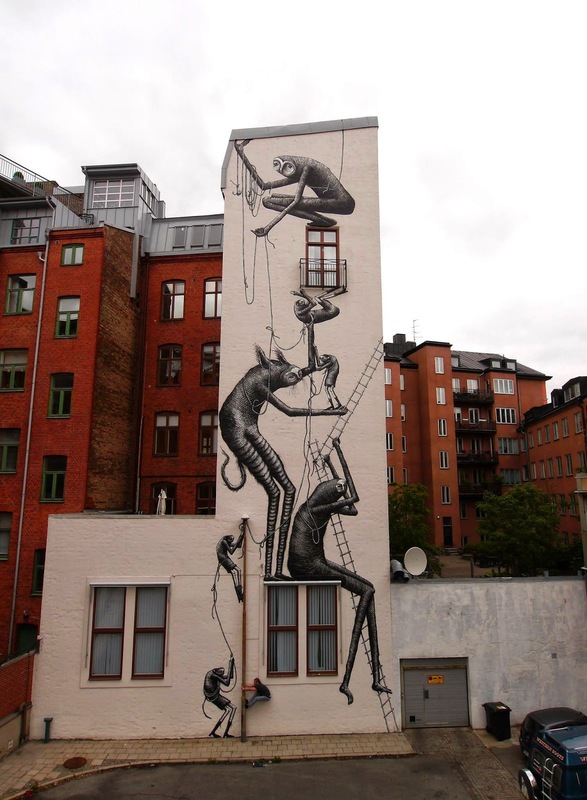 Phlegm is currently in Sweden where he just finished working on this new piece somewhere on the streets of Malmö. 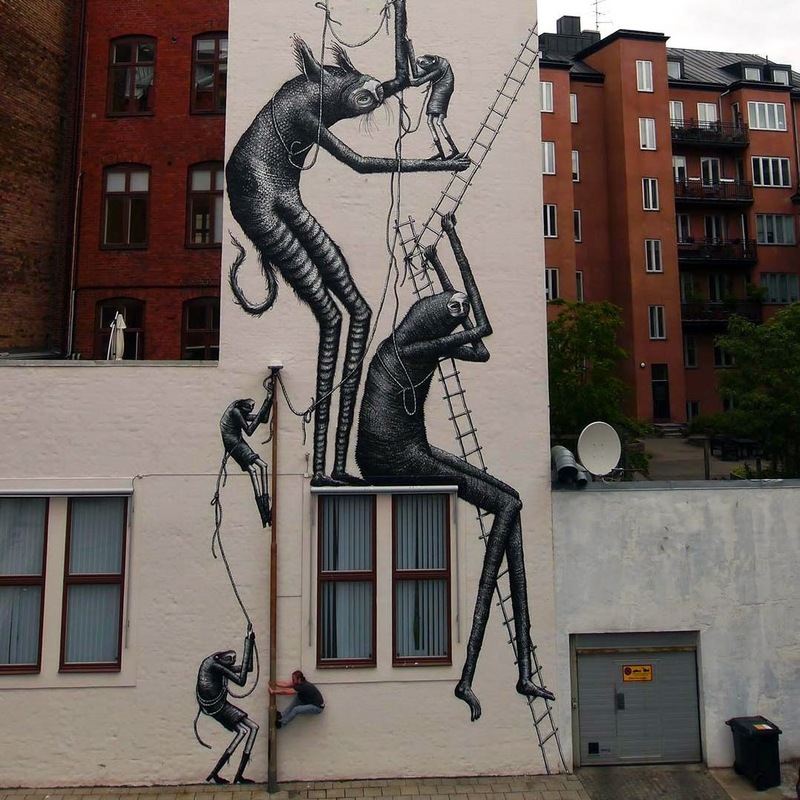 Invited by the ArtScape Festival, the British street artist painted this large piece showing some of his signature characters climbing up the wall using ropes and ladders. 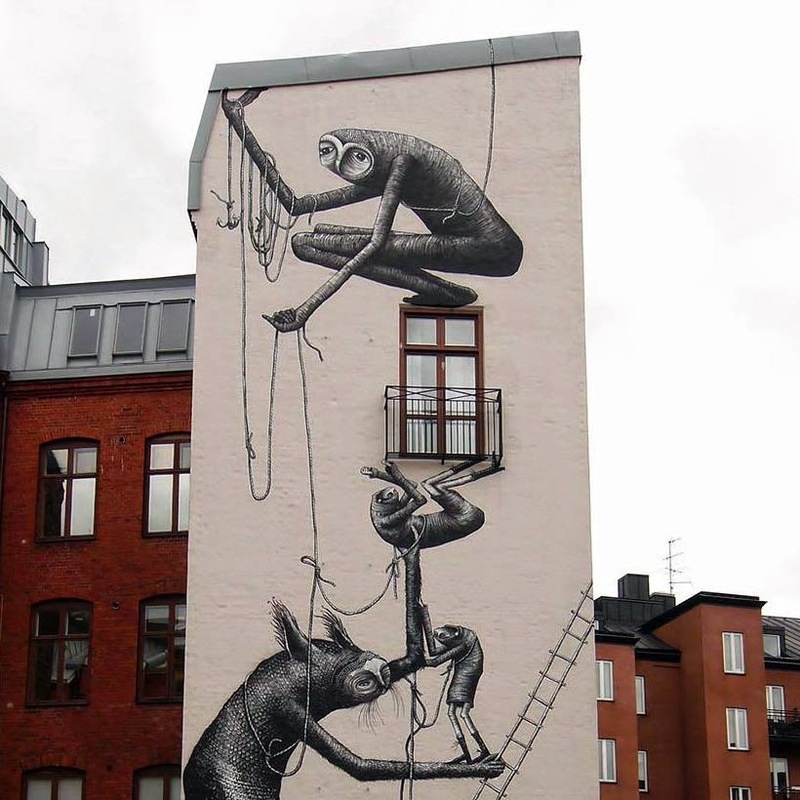 Continue reading for more images on this new piece and then check back with us soon for more summer updates from Phlegm.